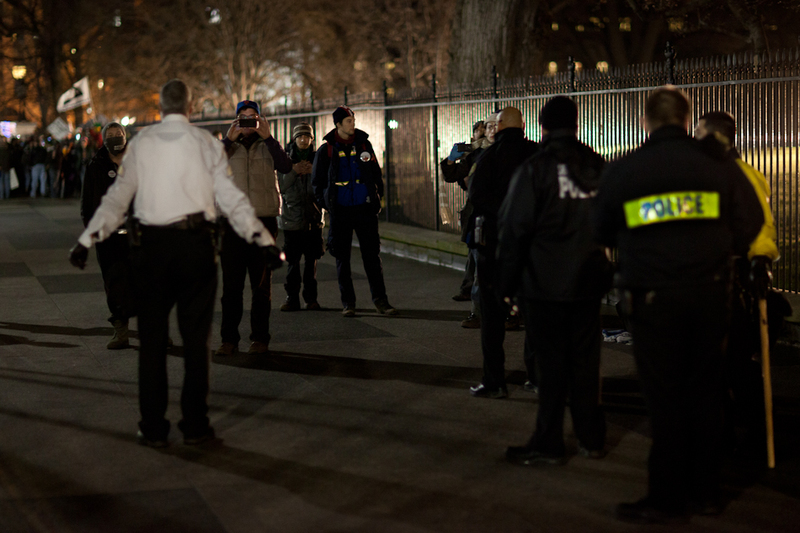 I swear I’m shooting more than just the Occupiers. Really. But the Occupy Movement has social, cultural and economic undertones (and overtones), whereas most of the paid work I shoot does not. 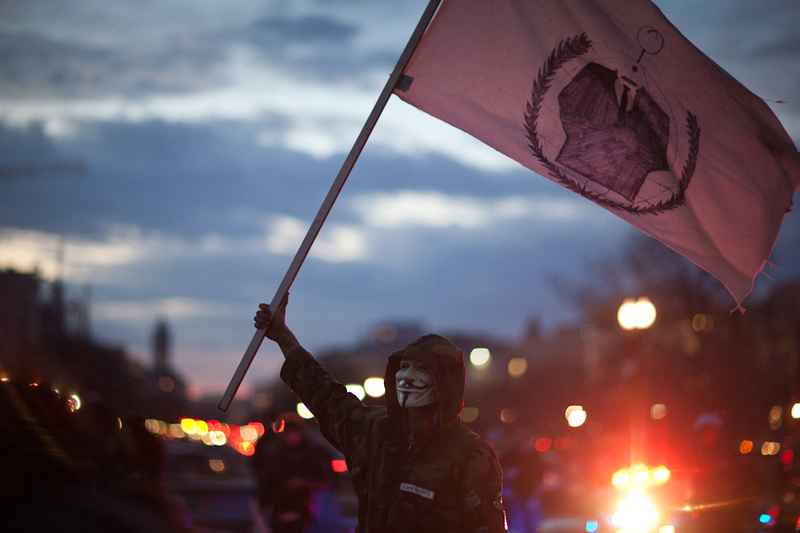 This past Tuesday, Occupiers from across the US gathered in DC for a protest against Congress. The crowd, though relatively small (maybe a thousand), still found ways to annoy the local authorities, remain in the news and enjoy a beautiful 50 degree day in mid-January. I tagged along as they “occupied” the Rayburn Congressional Building, marched through the streets back to the Capitol and eventually found their way to the White House. 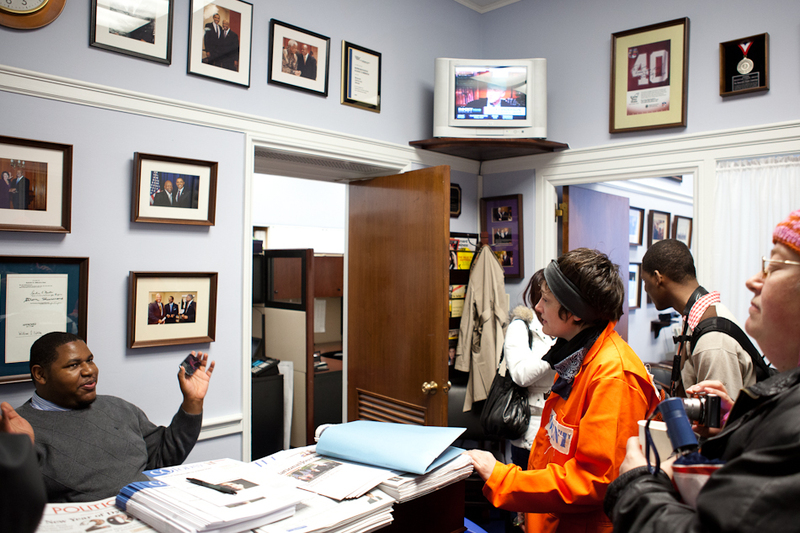 Protestors occupy the entrance to the Rayburn Congressional Building. 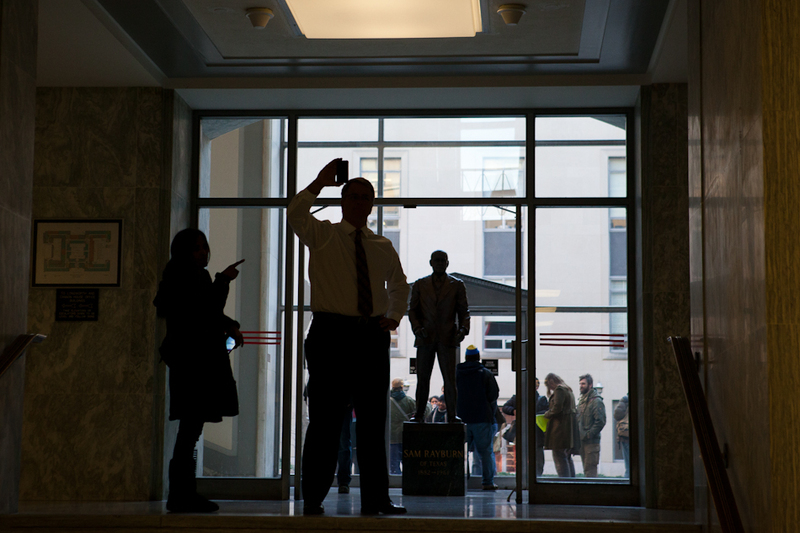 An employee inside the Rayburn Congressional Building stops to take a photo with his cell phone of the Occupiers going through security. 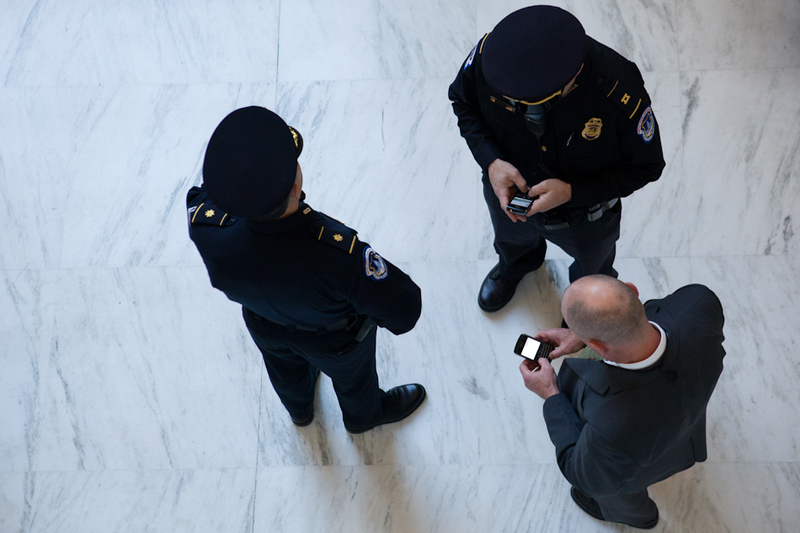 Communication between DC Police, Capitol Police and building security was on full display throughout the day. 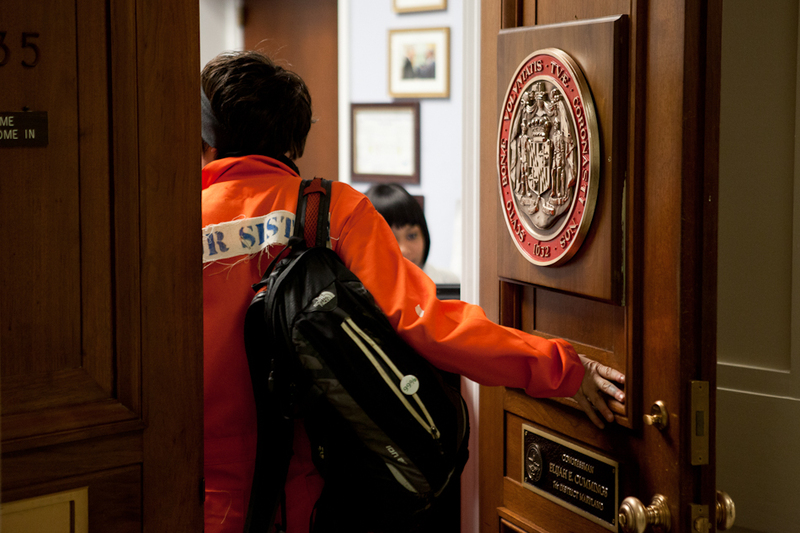 A protestor dressed as a Guantanamo detainee enters the office of Maryland Congressman Elijah E. Cummings. 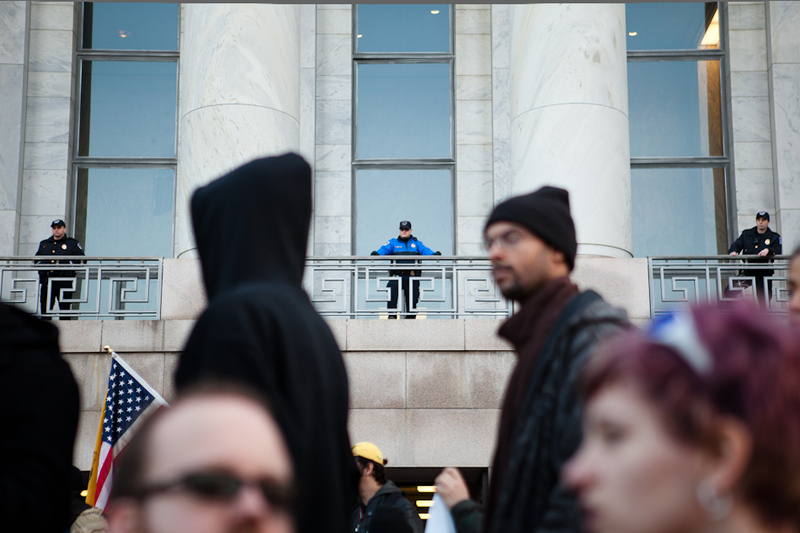 Capitol Police, having taken back the balcony, watch over the protest taking place outside of the Rayburn Congressional Building. 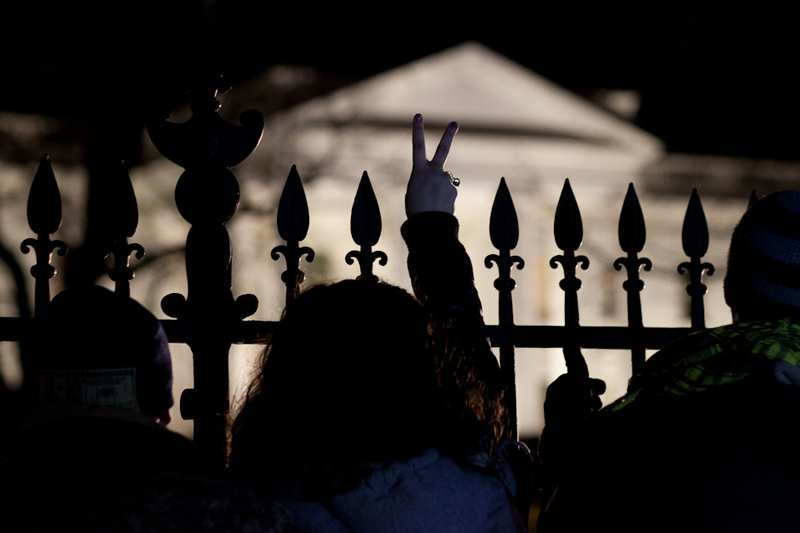 With Capitol Police looking on, a young couple celebrate the moment. 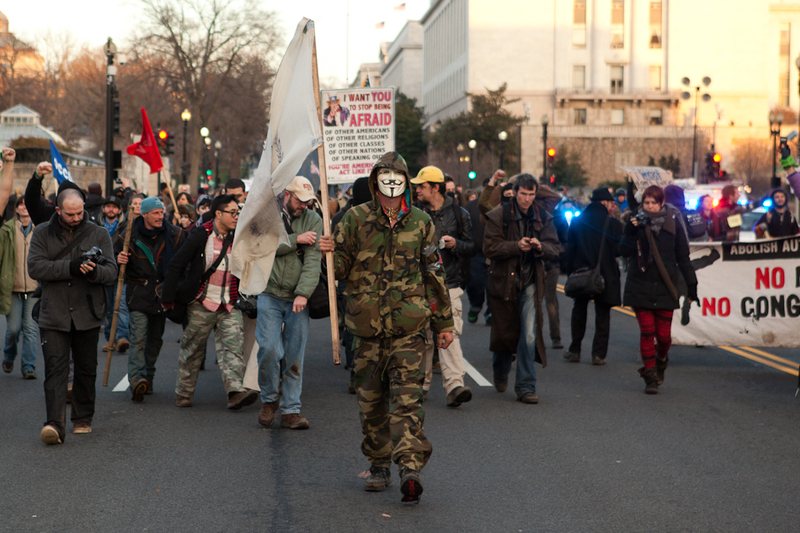 Guy Fawkes, one of many Fawkers at the rally, leads the crowd of a thousand down Independence Avenue during the height of evening rush hour. Some good old-fashioned rasta roko. 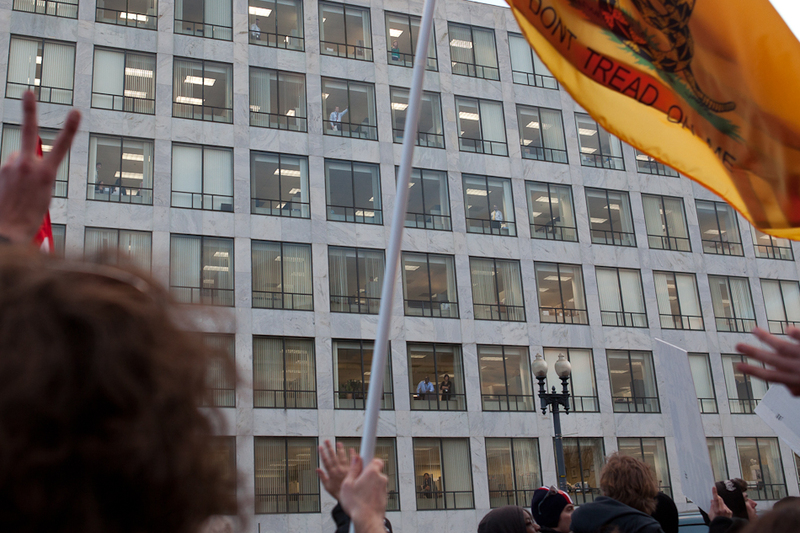 Employees inside the Federal Aviation Administration building look on as protestors march by and encourage their participation. 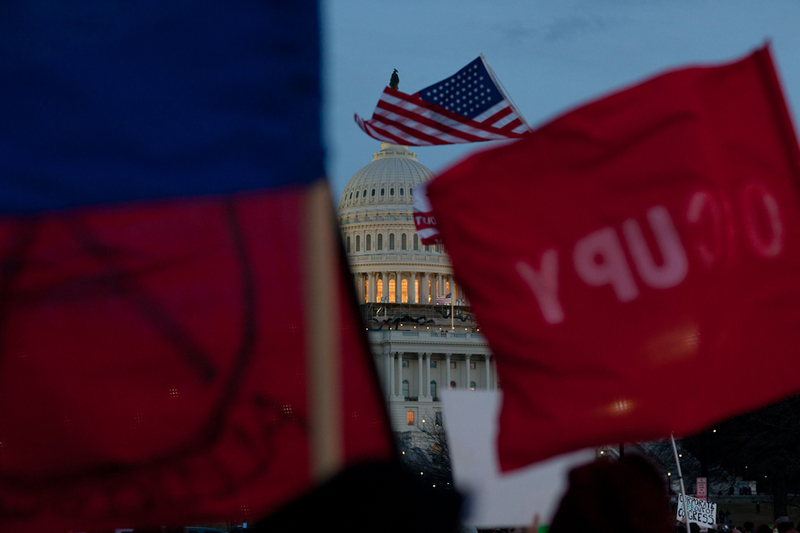 Protestors’ flags fly in front of the Capitol Building. 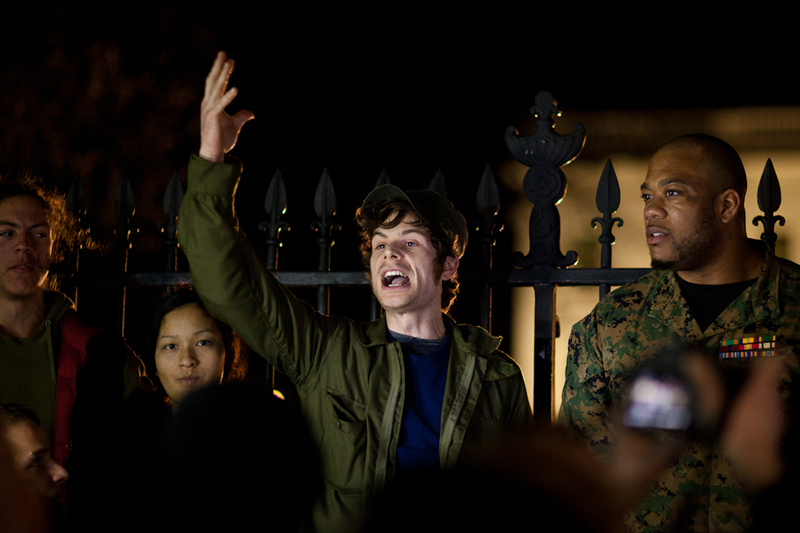 With Capitol Police nearby, Guy observes the Occupiers at the Capitol Building as the protest pushes on into the twilight hours. 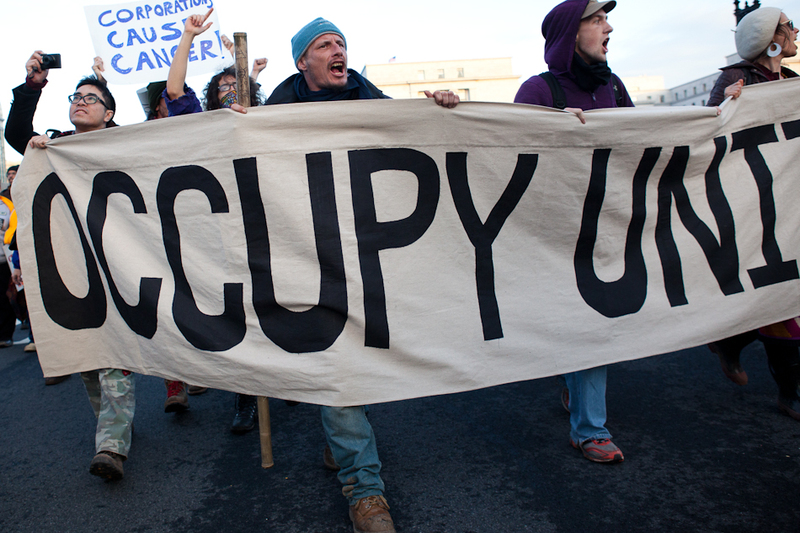 The Occupy Movement is comprised of people of all ages, races and religions. And contrary to popular belief, some of them have jobs. Cheers to the Secret Service and US Park Police, the DCPD, the Capitol Police and the protestors for an incident-free day. 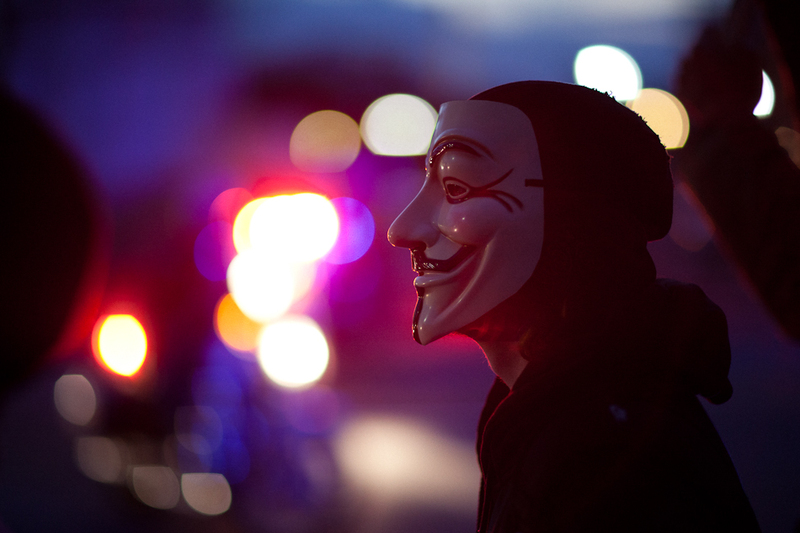 There were moments of tension, but that’s exactly what a protest is designed to cause. It’s supposed to be an annoyance — an interruption to normal day-to-day life — causing those who aren’t part of the protest to take notice of the grievances of the protestors. 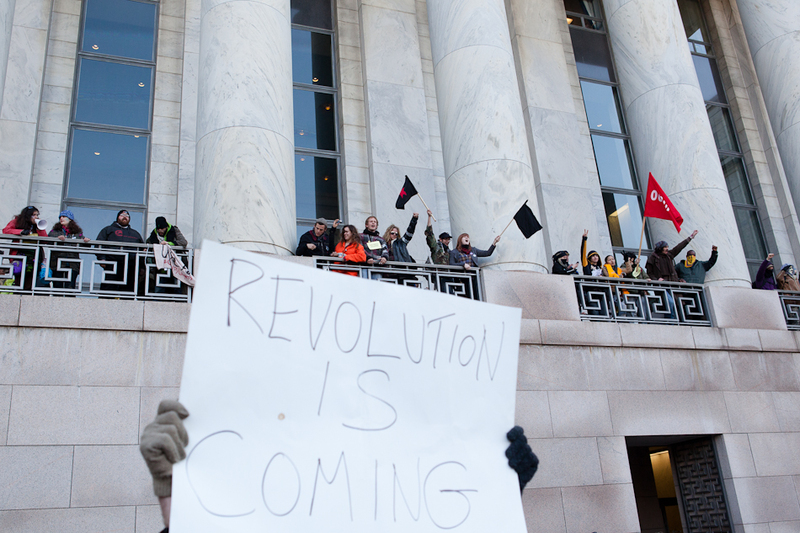 Occupy Congress took place the day after Martin Luther King Jr. Day and it was, appropriately, a peaceful demonstration. This entry was posted on January 19, 2012 by DavePhillipich. 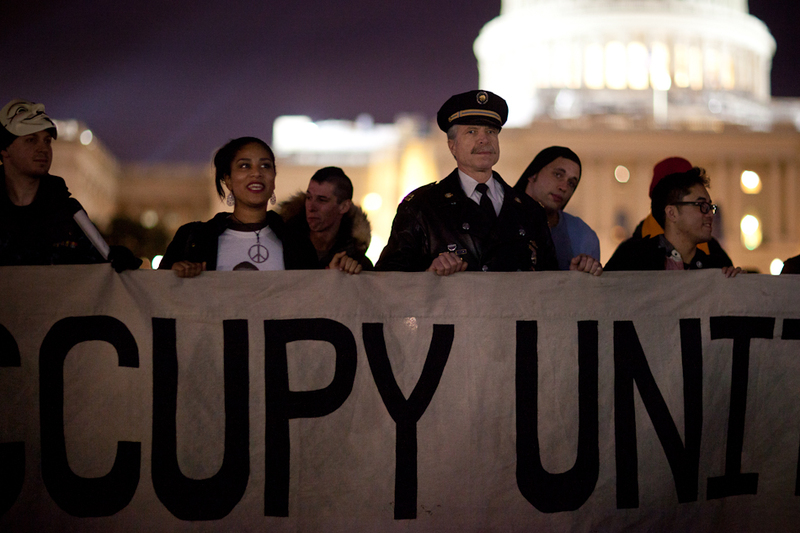 It was filed under Occupy, Washington DC and was tagged with #Jan17, David Phillipich, Occupy, OccupyCongress, OccupyDC, Washington DC. very proud to see your coverage!